Once you’ve been on a specific training routine for several weeks or months, your muscles tend to adapt to the training stimulus, which ultimately leads to training plateaus. And this is especially true the more advanced lifter you become, in that your muscles adapt more quickly. That’s why in order to elicit continuous muscle response to make them grow, you need to switch routines every once in a while. And the most optimal way to do that is to cycle the movements you use in your workout routine. It’s also imperative that you use a logical and orderly variation of reps, sets and rest intervals between the sets. This is why training periodization is such a popular concept. When you constantly combine different training variables in a logical manner, you can continue to build strength and muscle mass. That’s because you’ll consistently push your body to the threshold of overtraining and back off to let it catch up and begin growing again. Some people believe that the more time they spend in the gym, the more muscle they’ll build. But this is entirely wrong. That’s because after 45 minutes have passed the testosterone levels start to decrease while the cortisol levels start to increase. You might ask why this is bad. Testosterone is the muscle building, fat burning hormone. Cortisol, on the other hand, breaks down muscle tissue and increases fat storage, which means increasing cortisol and decreasing testosterone is the least desirable situation when it comes to achieving muscle growth and burning fat. 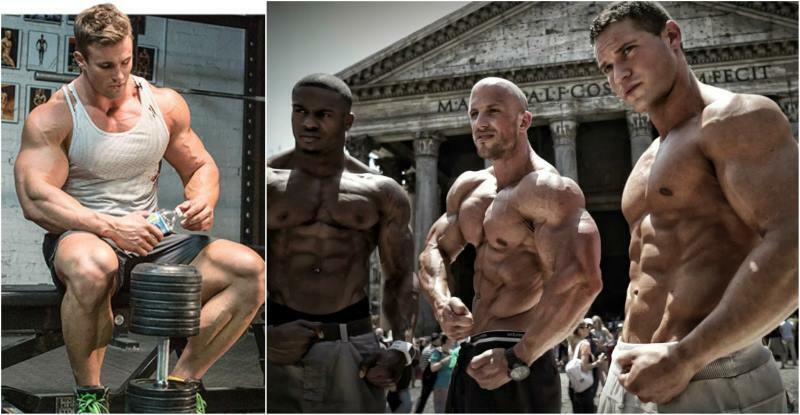 In order to be big, you need to introduce high volume and intensity in your training. There have been endless Internet debates about whether one should use more intensity or volume to achieve faster and greater muscle growth. The truth is that a mix of both volume and intensity will give you the best results. In order to elicit optimal muscle response, you’ll need to alternate training cycles of high volume and high intensity. Training using high volume will push your body and will to the limits and force it to adapt to the stress via the process of hypertrophy, which is the increase in the size of muscle cells coming from the increase of intracellular nutrients. On the other hand, training with high intensity and a low number of reps within the 1-5 range will allow your body to properly recuperate from the high-volume training. 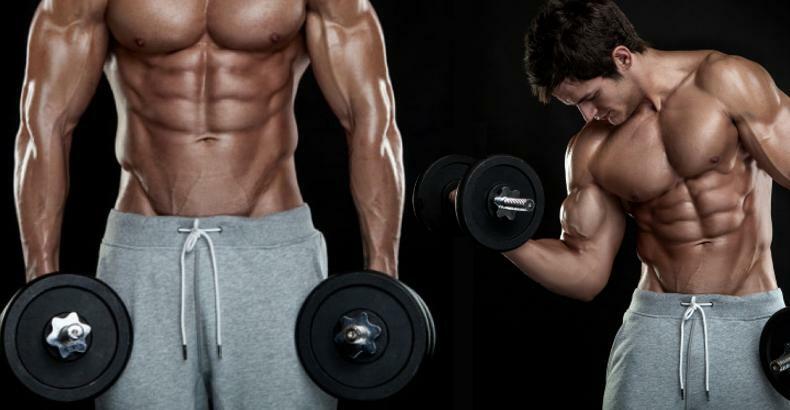 Use both training styles to gain new muscle mass and strength. This may sound strange at first, but varying the rest intervals between sets can actually force your body to re-adapt to the training stimulus. 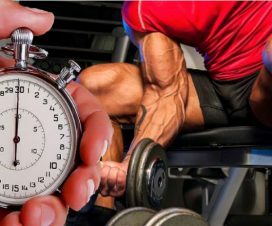 If you’ve been resting for 2 or 3 minutes and then switch to 1-minute rest intervals, your strength might suffer at first, but after a while, you’ll see renewed muscle growth from the decreased rest. It’s worth mentioning that a properly planned variation of rest intervals in accordance with proper set and rep routine will provide the best results in terms of muscle strength and mass. You should stick to basic movements. Use dumbbells and barbells and compound movements that involve multiple muscle groups like deadlifts, bench presses, squats, overhead presses etc. If your training regimen mostly consists of machine exercises, don’t be frustrated if you aren’t seeing any results. The human body is designed to move in a 3D universe. Training with machines only will force your body to move in the planes only allowed by the machine, thus keeping a lot of stabilizing muscles from becoming activated. That’s because the machine will be stabilizing the load for you. And in the end, you’re left with a lot less muscle growth. However, if you use dumbells and barbells and compound exercises, your body will be forced to activate every possible muscle fiber in order to control and balance the load, which leads to greater muscle growth. Plus, performing movements like, lunges, dips, and pull-ups will activate as many muscle fibers as possible. When you do an exercise where the torso moves through space, the body needs to engage a high amount of muscle tissue. That’s why despite the fact that these movements are the most challenging, they will give you the best results. Doing a single set of squats will produce more growth that 4-5 sets of leg curls. Cardio has its place in a well-designed training program. But for people whose main focus is on building muscle mass as fast as possible, it should be minimized to 2-3 sessions per week, each lasting no more than 20 minutes. Opt for a recumbent bike, an elliptical rider, a treadmill or you can simply walk more instead of using transportation. Keep the heart rate between 130-150. Anything more than that will inhibit the ability to increase your muscle mass. That’s because the body will have to use the nutrients which would usually be allocated for muscle growth in order to support the extra cardio activity. If you find cardio boring like most people do, but you know you have to do it anyway, you can try fast-paced weight training. This will increase your cardiovascular efficiency while making you lift weight and be fun at the same time. And this option is great for those who are short one time and need to get a quick workout. It’s imperative that you focus on achieving perfect form when performing the exercises and contracting your muscles. This statement might sound obvious, but the majority of people still don’t follow it. 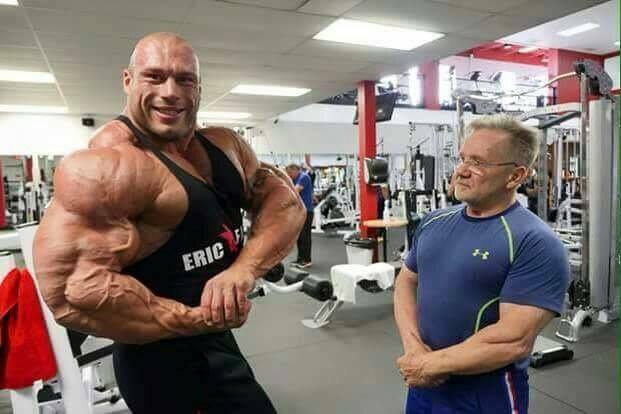 You should remember that what you’re doing is bodybuilding. 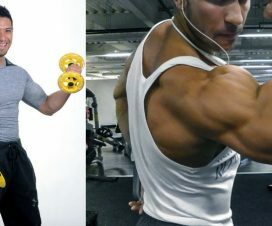 And bodybuilding requires perfect exercise execution so that the muscles and not the joints and tendons get stimulated. You should never sacrifice form for using more weight. The key to achieving muscle growth is optimal muscle stimulation. You need to engage as many muscle fibers as possible when you move the weight. Just moving from point A to B ain’t gonna cut it. You should really focus on contracting and squeezing the muscle that you train. The more the muscle contracts the greater results you’ll get from the exercise. Surely, you may not be able to lift as much weight when you do this, but in the end using proper form with lighter weights will pay dividends. Your body type will have the biggest impact on how often you’ll be able to train. This is a concept that has, so far, been neglected in training articles. In order to get the best results from your training, you need to pick the right training frequency for your body type. For example, endomorphs which usually have slower metabolism will be able to train 5-6 days per week. An ectomorph on the other hand who has a very fast metabolism, which is your typical so-called “hard gainer” will be able to train maximum 3-4 times per week. 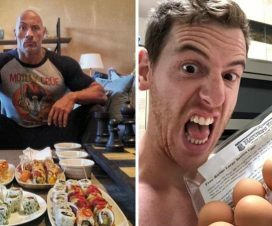 There are some programs which look good on paper, but if you don’t believe you can stick to it, then you need to pick a routine which best suits your lifestyle. Not everyone has the same obligations, and life sometimes gets in the way, whether it’s work, family, travel. If you’re honest with yourself and know that the max you can is 3-4 workouts per week, then stick to that training frequency. There’s absolutely no sense to try to follow a 6-day routine if you know you won’t be able to do all of them. In the end, this will only lead to frustration and less-than-optimal muscle gains. Make sure that you’ll pick a workout routine, which you know for certain you’ll be able to follow consistently. The key to great muscle building is consistency. Lots of people only train 3-4 days per week, and they have managed to achieve tremendous results. It all boils down to quality over quantity. When you keep a training journal you keep yourself accountable for your progress. Recording your training progress is a great tool for planning ahead and keeping yourself motivated and it also helps you realize how you measure up to your former self and to other successful lifters you wish to emulate. Imagine following a training program, achieving an awesome physique in the process and then no knowing how you got there. How would you feel if you lost all that muscle and you didn’t know how to get it back again? Imagine the frustration. This is why training journals are for, they let you see whether you’re progressing or regressing. 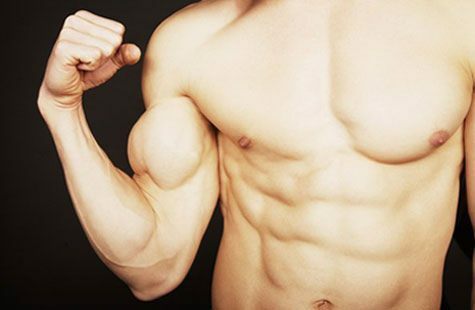 Are you getting more muscular, are you becoming stronger, are you losing fat? All of these things can be seen from a training journal. And if you aren’t getting the results you expected you can always troubleshoot your program from your journal to see what went wrong. If you write in detail about your training and nutrition, and you notice you’re losing your strength, and you also noticed you’ve been missing a couple of meals here and there, you’ll find out what the problem is and how to fix it.